Editor's Note: This is the extended version of our Weekly Placemaking Round Up newsletter for the week of March 26–April 1, 2018. Don't see our newsletter in your inbox? Don't miss out on your weekly dose of placemaking news, resources, events, and opportunities. Subscribe now! Now that the HyperLoop is poised to revolutionize transportation in the United States, Elon Musk has turned his attention to public spaces. His latest concept is the HyperBench, which will reinvent the way people sit in public spaces. 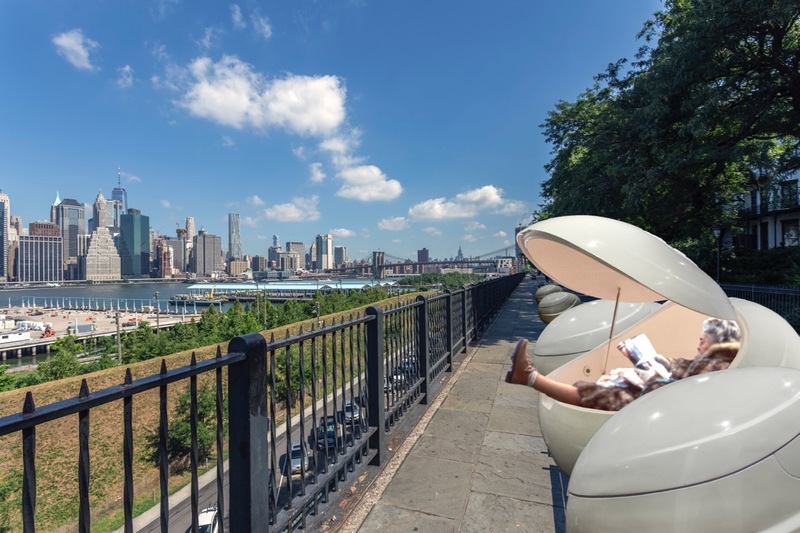 The modular pod-like bench will enclose each user in climate-controlled silence. Without “a bunch of random strangers” around, users will be able to enjoy the park free from interruption by buskers, food vendors, and talkative passers-by. The new model is slated for a summer launch in Brooklyn, New York. 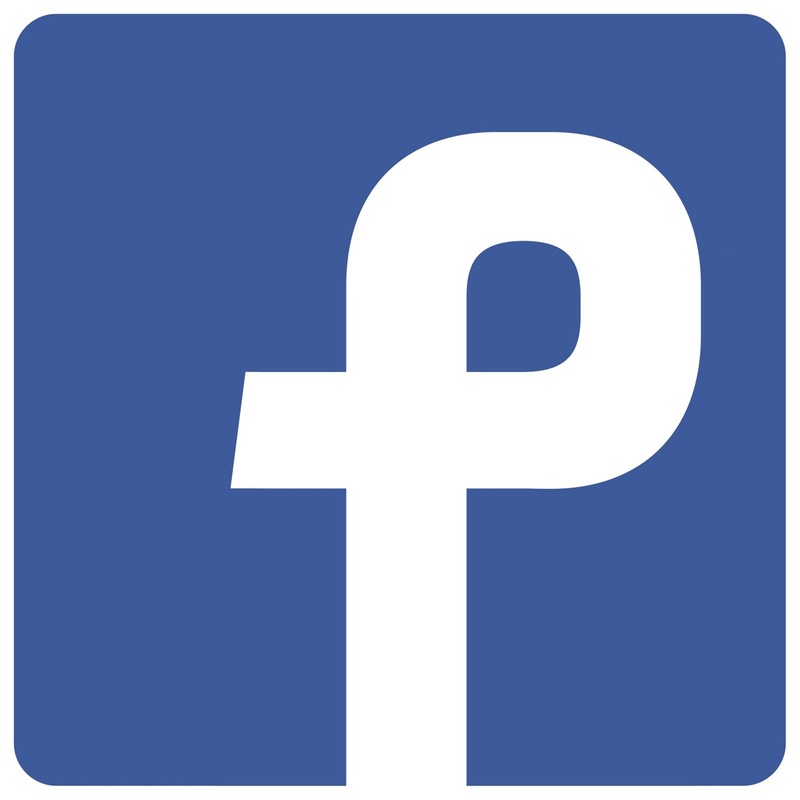 In what could be the tech shake-up of the decade, Facebook CEO Mark Zuckerberg has resigned from his role at the firm, simultaneously announcing his newest venture, Placebook. 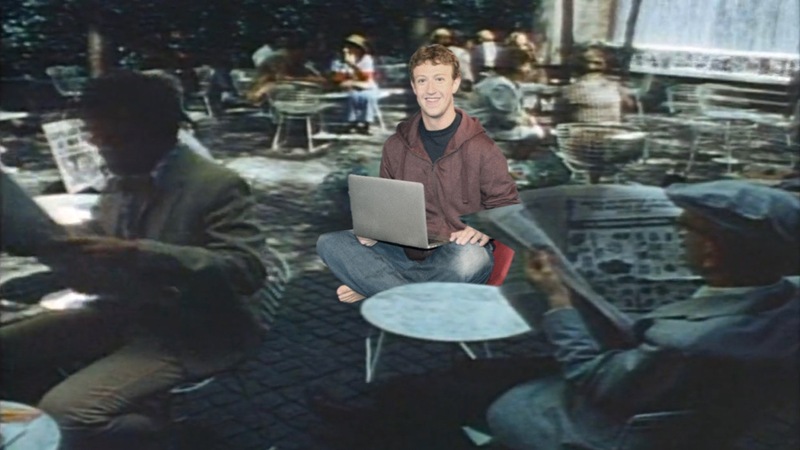 After having an epiphany in San Francisco’s Union Square, Mark Zuckerberg decided to move away from connecting people via online social networks, instead focusing on connecting them in public spaces. Zuckerberg has now pledged $1 billion for a new initiative funding placemaking initiatives globally. “I woke up the next morning and realized that all of the energy we’ve been putting into online communities could be so much better spent helping people connect in parks, squares, streets, and campuses," said Zuckerberg, harkening back to Facebook’s early days as a networking service for college students. “Instead of status updates, Placebook will have a brand new feature that allows people to talk to each other, face to face,” noted an elated Zuckerberg at a press conference this Friday, giving the audience a sign of the innovation yet to come. 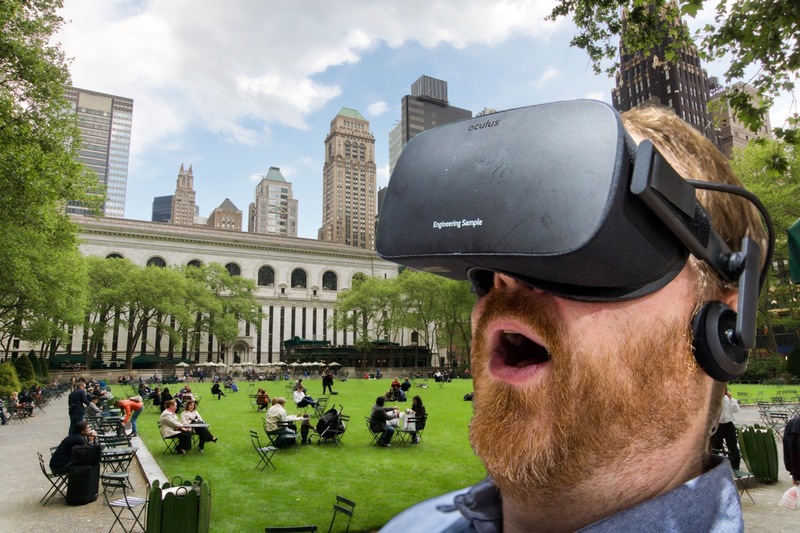 Bryant Park in New York City is pioneering a better way to experience public spaces: virtual reality. With park users frequently complaining about the weather or about the sounds of nearby conversations, the Bryant Park Corporation has funneled $3 million into creating a new app, paired with custom virtual reality headset that let users experience all the joys of public spaces from home. The park’s famous table tennis will be replaced with Wii-style tennis for online users, and the sleek VR headset will have multi-sensory features to replicate the smell of fresh waffles from the park’s food kiosks. A subscription to Virtual Bryant Park will be completely free with every headset purchase, and for an additional in-app purchase of $399, users can further immerse themselves in the park with a replica of the famous Bryant Park chairs, complete with a Bluetooth sound system that replicates the sounds of pigeons, audio from the park’s summer movie series, and even the sounds of ice skaters in winter. Once the virtual reality version is fully released later this month, discussions will begin around the original Bryant Park being converted into a luxury condo building. The world-class securitized landscape of Wall Street. 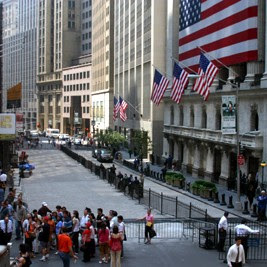 Wall Street, the symbolic center of capitalism, is a great place to visit to feel safe. Warmly embraced by barricades and under the watchful eye of the CCTV cameras, visitors can rest assured that their every move is being monitored. Once you've witnessed the sense of warmth and camaraderie emanating from the New York Stock Exchange trading floors, be sure not to miss the Charging Bull statue! Nominate a Great Public Space here!